Militaria has the advantage of a wide price range for items. A photograph sold in Cirencester on July 7 was a good example of ‘more affordable’ levels. 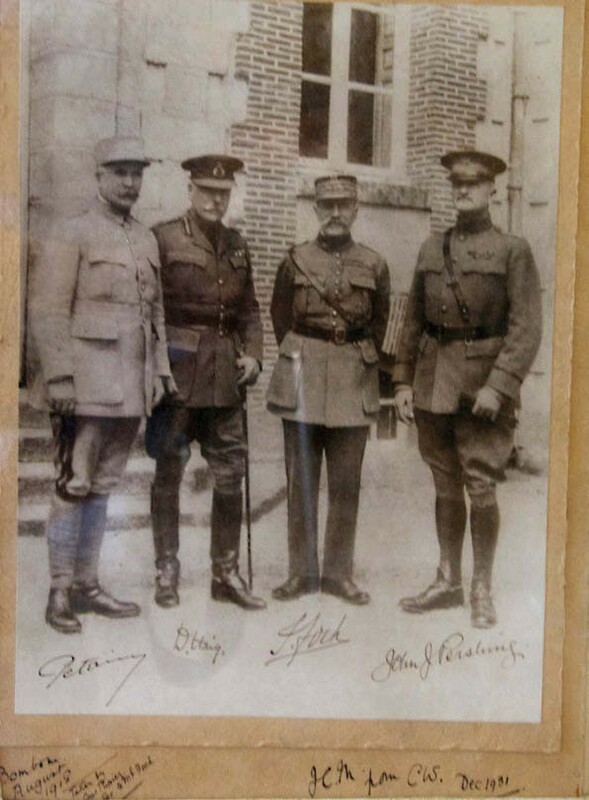 Photograph of the four Allied leaders at the end of the First World War - £340 at Moore Allen & Innocent. Moore Allen & Innocent (18% buyer’ s premium) sold a signed image taken at a meeting of the four Allied commanders at the end of the First World War for a mid-estimate £340 to a London buyer bidding online. The full-length portrait, sold on behalf of an anonymous vendor, shows General Pétain (France), Field Marshal Sir Douglas Haig (Great Britain) Marshal Ferdinand Foch (Supreme Allied Commander), and General John Pershing (US). It was taken by Captain Pupier, secretary to Foch. This photo, 13½ x 10in (34.5 x 24.5cm) including mount, is inscribed Bombom August 1918 taken by Capt. Pupier, Sec to M L Foch – H.M from CW. Dec 1931.